Interest rates can cause stock market crashes and they can also contribute to extended bear markets in stocks. The problem for equity investors is that higher interest rates can pull money away from the stock market. Imagine, and this is purely a hypothetical in the current market environment, if ten year Treasury notes yielded 10%. Investors would have a choice between risk free rates of 10% and a risky investment that would deliver variable rates of return. Many would invest in the Treasuries. That scenario wasn’t always hypothetical. The chart below shows interest rates on the ten year and demonstrates that there was a time when Treasuries were a meaningful alternative to stocks. While, in hindsight, Treasuries were attractive on an absolute basis in the early 1980s, many investors may find them attractive on a relative basis right now. In July 2016, the ten year yield dropped below 1.5%. It’s now more than double that level. That means investors could move into fixed income investments because they yield so much more than they did two years ago. Rates are rising as stocks also become increasingly risky in the eyes of some investors. 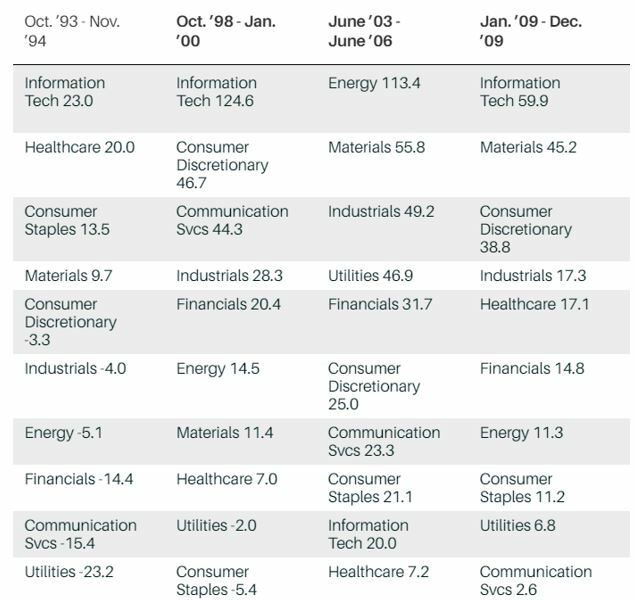 This makes it important for investors to consider what sectors in the stock market could do better as rates rise. Analysts note that not all sectors will suffer as rates rise. “Some areas of the market that look inexpensive—financials, enterprise tech, industrials—actually would benefit from rising interest rates,” contends Savita Subramanian, U.S. equity and quantitative strategist at Bank of America Merrill Lynch. To understand why financials are sensitive to interest rates, it can help to think of them as retailers. Banks make money by “buying” deposits cheaply and “selling” them at higher prices. So, higher rates will force them to pay more for deposits, but interest rates on savings accounts and other consumer products tend to rise slower than the rates on loans. Barron’s notes the average rate on a one-year certificate of deposit, for instance, has climbed from 0.27% to 0.78% since the start of 2016, even as that on a home-equity line of credit has jumped from 4.69% to 6.19%, according to Bankrate.com. Since the 2008-09 financial crisis, banks have held more cash and low-risk investments on their balance sheets, to comply with regulations. All that cash is essentially dead weight when interest rates are low. But higher rates turn those deposits into income-generating assets. This indicates financials could be attractive with recent weakness providing a buying opportunity. Despite the fact that rates could affect some sectors in a negative way, overall higher rates could be bullish. A Bank of America analysis found that companies’ price/earnings multiples expanded during half of the recent rising rate cycles and contracted during the other half, indicating that the market is agnostic about changes in rates. 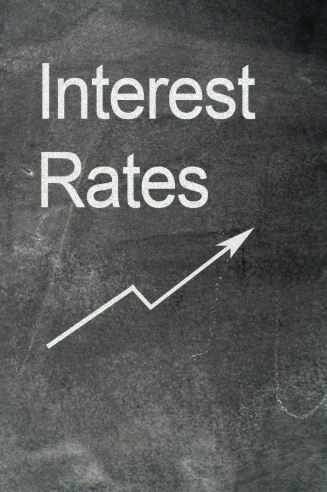 Rising interest rates tend to be destructive under only a few circumstances. Higher rates also become destructive above a point at which they start threatening to detract from economic growth. In the past, the magic number was 5%, Golub says. But with the economy growing more gradually these days, the break point is probably closer to 3.5%, he estimates. Sun Trust found that the specific performance of a sector varies from cycle to cycle. While tech does well at times, investors should be cautious. Analysts worry that tech tends to outperform during periods of rising interest rates, but the stocks’ behavior might be coincidental. Tech shone as rates jumped between 1998 and 2000, for instance, but the gains came amid a euphoric run that then went bust in epic fashion. This time, the setup for tech’s highflying names also looks shaky, although not nearly as worrisome as it did during the dot-com bubble. “Rising rates further darken the picture for home builders. Housing was already unaffordable for some first-home buyers before rates spiked because there are too few low-priced homes available. Now, ascending rates appear to be dampening enthusiasm even more, as shown by the recent drop in mortgage applications. Add labor shortages and rising materials costs due to the Trump administration tariffs on steel and aluminum and it’s hard to imagine a worse backdrop for the industry. Auto stocks, which received no love from investors even in better times, are vulnerable to some of the same pressures. U.S. consumers today finance more than 86% of new vehicles and 55% of used ones. Data says now is a time for caution. Higher rates will make it more difficult for investors in the equity markets. As rates rise, it could make sense for some investors to move into fixed income investments, locking in higher returns. However, that increases risks associated with inflation. A nimble approach could be useful, buying stocks and sectors with high relative strength and moving out of stocks and sectors that show a breakdown in relative strength. This strategy could help investors avoid large losses if a bear market unfolds.